Many ski resorts in the US and Canada offer free skiing for kids. The Caveat: you must provide paperwork, an admin fee and typically be accompanied by apyign parent. Still it’s a win win for skiing families. Maine started with the 5th Grade Passport, and Colorado and Utah soon followed, the Free Skiing Kids Passport Program has expanded to New Hampshire, Vermont, Pennsylvania, Idaho and Washington, Michigan and Canada. The Free Ski Pass is usually for kids in grade 4 through 7. Check with your kids’ school or go to your State Ski Association, like Ski Utah, Sk NH, Ski Vermont, Ski Maine and Colorado Ski Country sand see our list of free kids ski programs. Vermont is known for its Green Mountains covered in white in winter, and for raising Olympic ski athletes – Kelly Clark, Ross Powers, Hannah Teeter, Eric Schlopy, Tiger Shaw, the list goes on. Vermont’s 5th Grade Passport provides free skiing, with a $10 processing fee, at Vermont ski resorts when kids are accompanied by an adult who has paid for a full-day lift ticket. Colorado Ski Country USA 5th & 6th Grade Passport provides three free days of skiing and snowboarding at each of the 20 different resorts, while the 6th Grade Passport offers four days for just $99. 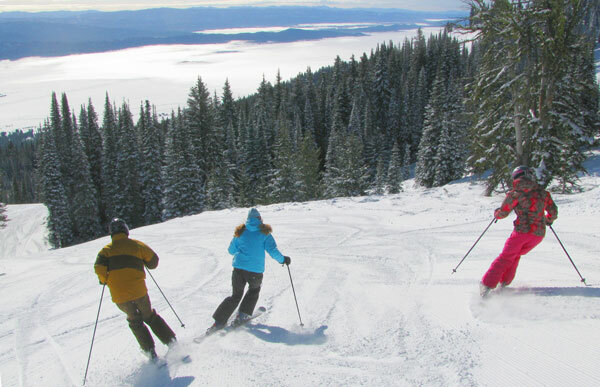 Idaho and Washington have great skiing, and both offer excellent 5th Grade Ski or Ride Free Passport programs with three free days at each participating area, while the 6th Grade version provides two free days at each location. There’s also a $20 processing fee. New York offers a program for 4th graders with a $19 processing fee, young riders receive a free day at most NY resorts with a paid adult ticket at Gore, Lake Placid, Hunter, and more. Our neighbors to the north know winter can be long without skiing and hockey. Canadian students in grades four and five are eligible for the Grade 4 & 5 Snow Pass for three free lift tickets at 150 Canadian ski areas each participating resort, a $29.95 processing fee is required.